Andrea L. Beach is a Professor of Higher Education Leadership and Co-Director of the Center for Research on Instructional Change in Postsecondary Education (CRICPE) at Western Michigan University. She founded and was Director of the Office of Faculty Development at WMU from 2008-2015. She received her Master’s degree in Adult and Continuing Education and her PhD in Higher, Adult, and Lifelong Education (HALE) from Michigan State University in 1998 and 2003, respectively. Her research centers on organizational change in higher education, support of innovation in teaching and learning, faculty learning communities, and faculty development as a change lever. She has been PI and co-PI on several NSF-funded grants focused on instructional change strategies that have produced articles and book chapters on instructional change strategies as well as instruments to self-report instruction and academic department climate for instructional improvement. 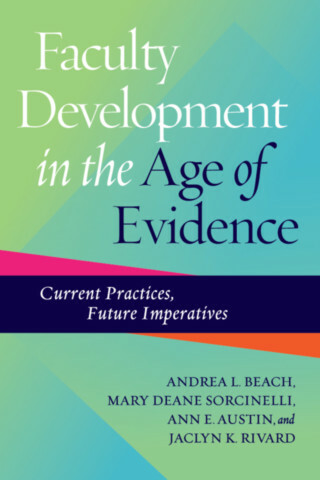 She was co-author on Creating the Future of Faculty Development (with M.D. Sorcinelli, A.E. Austin, and P.L. Eddy, 2006). She is most recently director of a $3.2 million US DoE FIPSE First in the World project to undertake, document, and measure outcomes of institutional transformation aimed at improving the persistence and academic success of students from low-income backgrounds.